Set on the theme of friendship, this heart-warming attempt by Zoya Akhtar is all things amazing. Be it the friendship that the main protagonists share or their ultimate road trip in Spain, every element of this movie rekindles the traveller in you. The leisure road-travel, exhilarating sky-fall, peaceful scuba-diving and the Tomatina festival take you on a different level of high, making you want to pack your bags as soon as you finish the movie. A gem from the mastermind Imtiaz Ali, Tamasha brought along with it, a breath of fresh air into the Indian cinema. 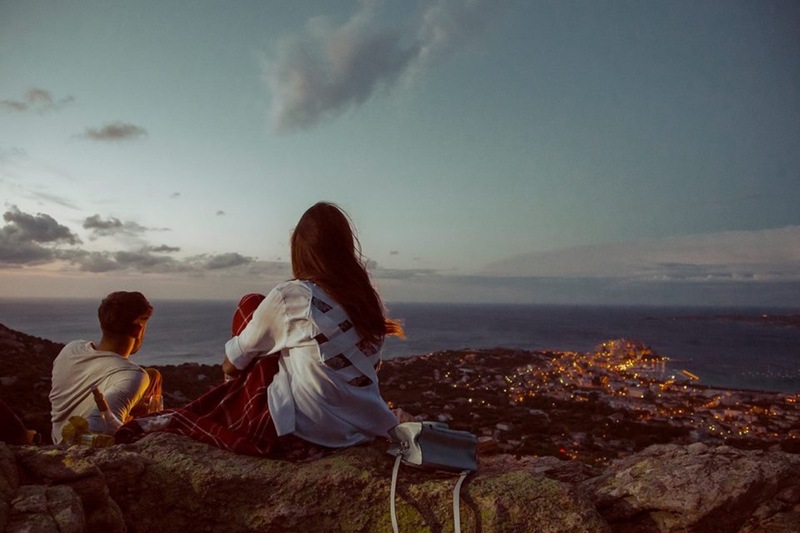 Being one of the most offbeat Bollywood movies, Tamasha takes you all the way to the beautiful Corsica and is sure bring out the traveller in you. Just like the perfectly crafted characters, it has displayed the beautiful parts of France, making Corsica one of the most favourite travel destinations among Indians. How many times have you planned a trip to Goa with your friends and stayed back because one of them would back off? Well, this movie is all about the successful trip of three friends to Goa and how they discover their lives later on. One of the biggest dreams of the Indian Youth, Goa is a hot destination that welcomes people from all the countries. Apart from travelling, this movie also gives some travel goals, and some squad goals that you will want to cherish for the rest of your life. 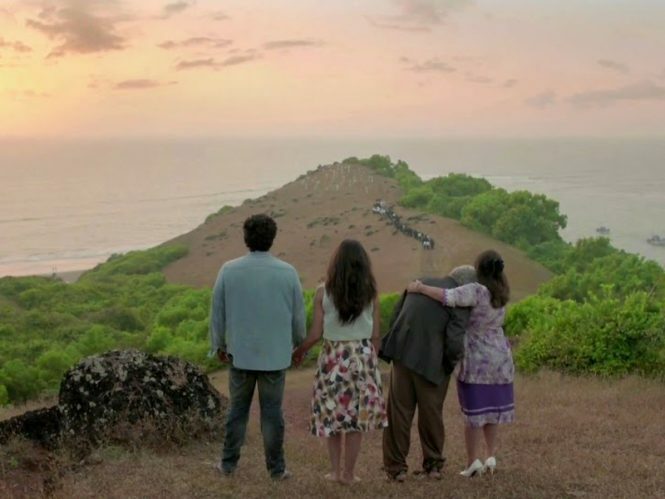 Yet another film that showcases the beauty of Goa, Finding Fanny is set against the quaint backgrounds of the villages in Goa. It showcases Goa in the most beautiful way possible, covering all the tiny and unexplored parts of the city. Finding Fanny has brought Goa in the limelight for different reasons that showcase its true beauty and essence. This recent Bollywood movie has clearly showcased the raw beauty that Goa is. Yet another gem from Imtiaz Ali, Highway is about the story of a girl who gets kidnapped, and travels along with the kidnapper in a truck, exploring the country. This film brings out the true meaning of freedom, and how depicts the beauty of road trips. It covers the parts of country like Delhi, Punjab, Haryana, Rajasthan, Kashmir, and Himachal Pradesh in the most raw form. This Alia Bhatt’s film is one of the best travel movies among the recent Bollywood movies. Set on a travel theme, this story is about four friends and how they part their ways after a beautiful trip to Manali. The main protagonist of this movie, Kabir, played by Ranbir Kapoor is an extreme travel lover, and wishes to travel the world before he dies. Yeh Jawaani Hai Deewani is the perfect mix of friendship, travel, and how life changes as we grow up. This movies covers many of the locations abroad, ending with a beautiful wedding in the Palace of Udaipur. 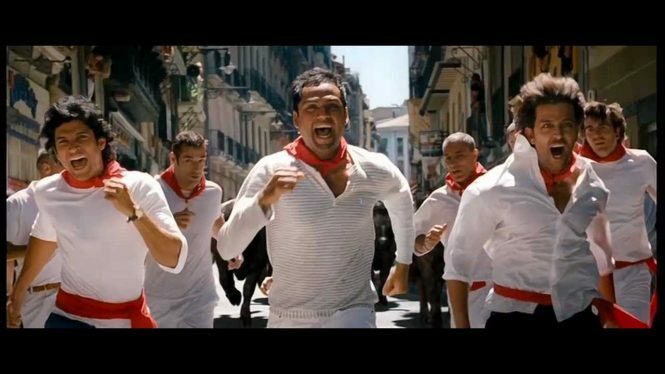 This offbeat Bollywood movie has incorporated the idea of travel among the youth in the country. On an expedition to find out about his father, the lead of this movie, Jagga, played by Ranbir Kapoor embarks on a journey. Directed by Anurag Kashyap, this movie explores the parts of the world that are least explored, bringing out the travel enthusiast in you. One of the most unique movie among the latest Bollywood movies, Jagga Jasoos, is a must-watch for people who watch the movie for content. This recent Bollywood movie is the story of a woman who goes on the search for her wedding ring with another man, and in turmoil of events, they end up falling for each other. This movies takes you across various locations around the world that will inspire you to travel. One of the most offbeat Bollywood movies, Jab Harry Met Sejal, brings out the traveller in you. Starting off with a train journey, this movie made by Imtiaz Ali takes you on a nostalgic road trip from Ratlam to Kota, finally reaching Bhatinda. Apart from these places, it also covers Manali and Shimla in the most beautiful way possible; inspiring all the travellers to go on a trip. Shot on a luxurious cruise ship, Dil Dhadakne Do started the trend of travelling in ships. They travel through Turkey, Tunisia, and Spain with some beautiful sequences shot on the ship against an oceanic background. This offbeat Bollywood movie is stunning on all levels, rekindling the wanderlust in you. Piku is a comedy-drama, set against the beautiful Kolkata and the places around it. This movie is a subtle attempt to expose the beauty of the Kolkata streets that reflect the cultural aspects of the country. It also covers the Yamuna Expressway and Varanasi in the form of a road trip, that will rekindle the traveller in you. A story about two people who wish to end their lives, instead go on a road trip from New York to Las Vegas. Exploring the beautiful barren lands, and the ever wonderful cities of New York and Las Vegas, Anjaana Anjaani holds a special spot in the Indian cinema. Marking the goal of solo travelling on every woman’s bucket list, Queen is the story of a woman who embarks all alone on her honeymoon trip. This movie is shot in the beautiful streets of Paris and Amsterdam, and depicts the various experiences that the main protagonist experiences. This movie is one of the most inspiring Bollywood movies of recent times. Set in the beautiful country of Europe, Dilwale Dulhania Le Jayenge is a romantic story that features romance in the most subtle form. It also covers the beautiful mustard fields of Punjab and many interesting tourist locations in Europe that rekindles the love for travel. Be it the beautiful Munnar Tea Estates, the glorious bridge of Tamil Nadu or the ever charming Dudhsagar Waterfalls of Goa, Chennai Express takes your mind to various beautiful locations across the country. All these locations are shown in the most subtle way, making you want to travel as soon as possible. A movie about two contrasting personalities travelling together to Delhi, Chalo Dilli is a beautiful movie. The main protagonists go through a wide range of experiences and consequences that capture the true essence of travel. Chalo Dilli is one of those movies that inspire you to embark on a road trip across the National Highways. On a quest to deliver his father’s antique truck to a local museum, the main protagonist Vishnu embarks on a journey across Rajasthan. This movie showcases Rajasthan in the most raw form, encouraging people from all over the country to go on a road trip to the state. Apart from showing the most highlighted parts of the cities, 3 Idiots has introduced Ladakh to the Indian audience. 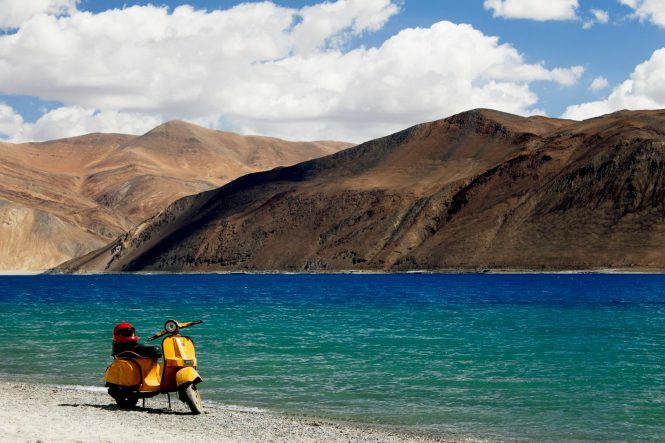 With the climax of the movie shot against the beautiful backdrop of the Pangong Lake, Ladakh has become the most favourite travel destination among the Indians ever since. This movie also covers the beautiful Chail Palace in Shimla, IIM Bangalore, and many other scenic locales around the country. This masterpiece by Imtiaz Ali is the story about a timid Janardhan from Delhi who transforms into the Rockstar Jordan. This movie explores various locations in Delhi and Kashmir along with the beautiful streets of Prague. One of the best recent Bollywood films, Rockstar captures the true essence of life and love. Showcasing Darjeeling in the most beautiful way possible, Barfi will make you want to pack your bags and head over to the place. Right from its beautiful misty mornings and gorgeous pathways, Barfi presents the town of Darjeeling at its best. Bollywood movies are all about, “Entertainment, entertainment, entertainment”! If this has been your notion until now, then it’s high time that you should be enlightened about the different ways in which popular Bollywood blockbusters can inspire us. There is more to films produced by the Hindi film industry apart from super hero-like lead actors, uber attractive heroines and dazzling song and dance sequences. Right when you think that the filmmakers can’t think of anything beyond the stereotypical elements, a veteran filmmaker comes up with a movie or two that has enough ingredients to awe us. One of the trends that have been doing rounds in Bollywood for quite sometime now is shooting either the complete film or few special sequences in foreign or virgin location. These films are not only very pleasing to watch on big screen, but there are certain other aspects to them as well. Recently released films like Highway, Queen, Barfi and Yeh Jawani Hai Deewani inspire us to pack our bags, and get set for a journey of our lifetime. You simply have to be living under the rock to not have noticed this uncanny similarity in the most successful films produced over a span of last few years. 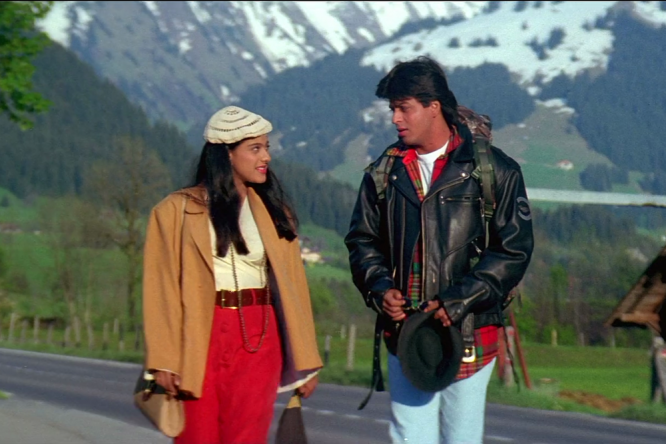 Over the years Hindi films have contributed a lot to the travel and tourism for different countries and regions. If we take a look back, yester year films like Love in Tokyo and An Evening in Paris also captured the essence of different international locations wonderfully on screen. This trend is still very much a part of Bollywood movies. In a recent release Yeh Jawani Hai Deewani, young director Ayan Mukherji narrated the tale of four friends who embarked on a trip of their lifetime to trek along the mountain trails of Manali. Lets take a look back to one of the most heart-warming stories to be released this year, Highway. Filmmaker Imtiaz Ali shot the movie on roads from Delhi, Haryana, Rajasthan and Himachal Pradesh. As a viewer you are bound to fall in love with the scenic locales, expansive landscapes, snow-capped mountain and the sprawling Rann of Kutch. Films like Zindagi Na Milegi Dobara and Dil Chahta Hai, inspired us to pack our bag packs and set out for the once in a lifetime trip with our beloved friends while, the latest release of Queen made us feel the essence of discovering the soul of a place all by yourself while you make new friends at every halt. Bollywood movies are not just about entertainment, entertainment, entertainment! They also inspire us to travel and explore the world! “Bang Bang” the only movie which inspire me to travel the world. such a nice collection…its amezing…..loke this….